When you’re shopping for a new set of wheels, the width, diameter and offset are all critical to how the wheels will look and fit on the car – whether they’re flush with the fender arches or sunken in will all depend on whether or not you got the specs right when you ordered them. This is especially true with a Porsche. 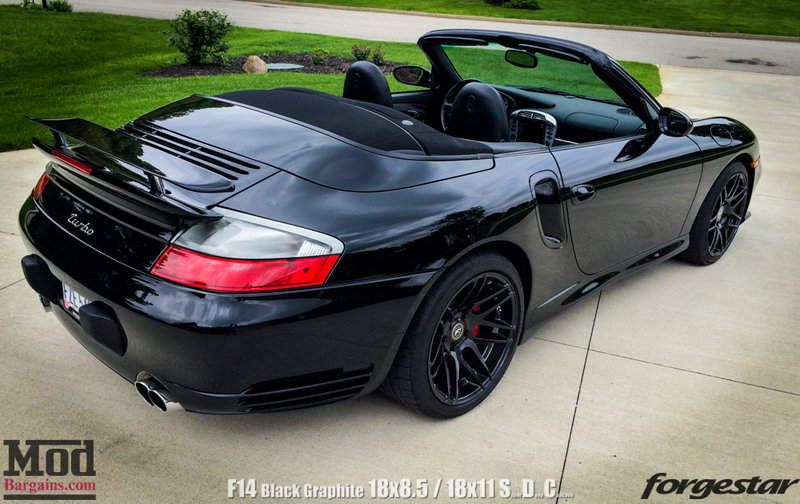 With the classic rear-engine layout of the 911, the Porsche 996TT Cabriolet wheels call for an extremely wide rear and specific offsets. When you need that kind of expertise when shopping for a wheel, look no further than the Mod Experts here at ModBargains. 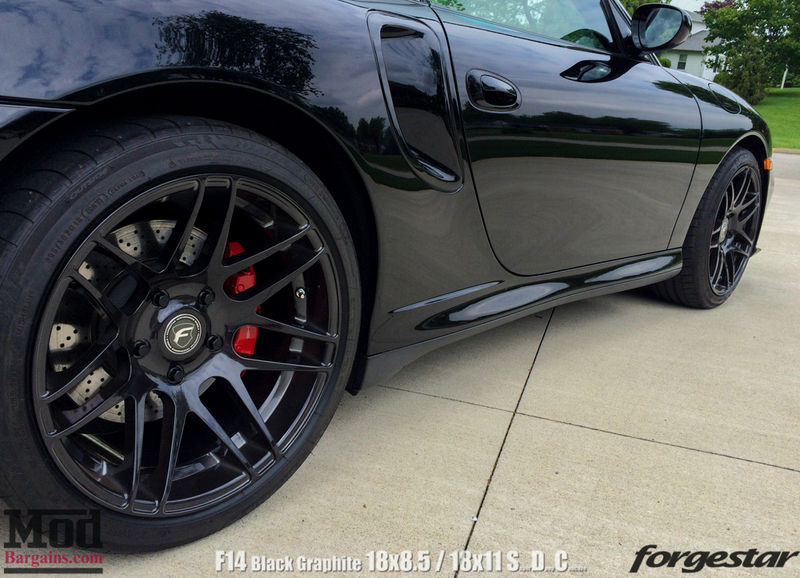 That’s what the owner of this P-Car did when ordering the Forgestar F14 Wheels for Porsche you see above and below. 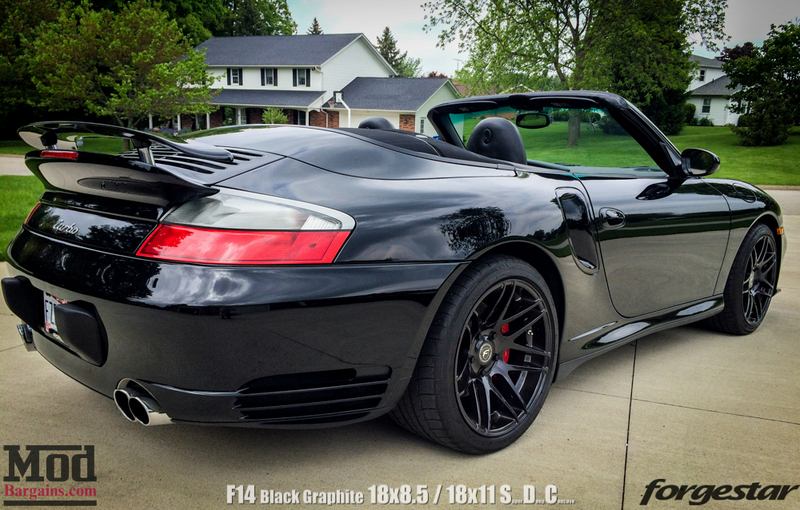 This customer wanted a wheel that offered concavity but would also be perfectly matched to the Porsche 996TT – Since Forgestar wheels are manufactured to order and the exact specs of your particular car – mods and all – they’re as perfectly tailored to the 996 as an Armani suit. 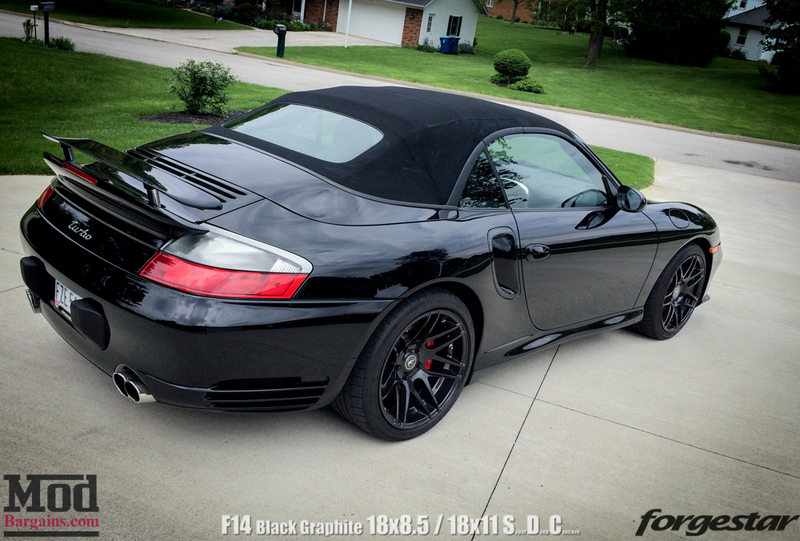 The styling of the Forgestar F14 was a perfect match to the 996, the Mod Experts set up the Porsche with a fitment of 18×8.5 Semi-Concave up front with a fat 18×11 Super Deep Concave wheel, custom powdercoated in Black Graphite to cleanly match the deep glossy black finish of the 996. As the former owner of a black car myself, I can tell you from experience – as can the Mod Experts – that it’s quite difficult to keep a black car clean and looking immaculate. We hope you enjoyed the photo gallery – if you’re looking for a set of Wheels for your Porsche, check out our selection at ModBargains.com or give our Mod Experts a call at 714.582.3330, email us at [email protected] or just stop by the ModAuto showroom in La Habra, CA. 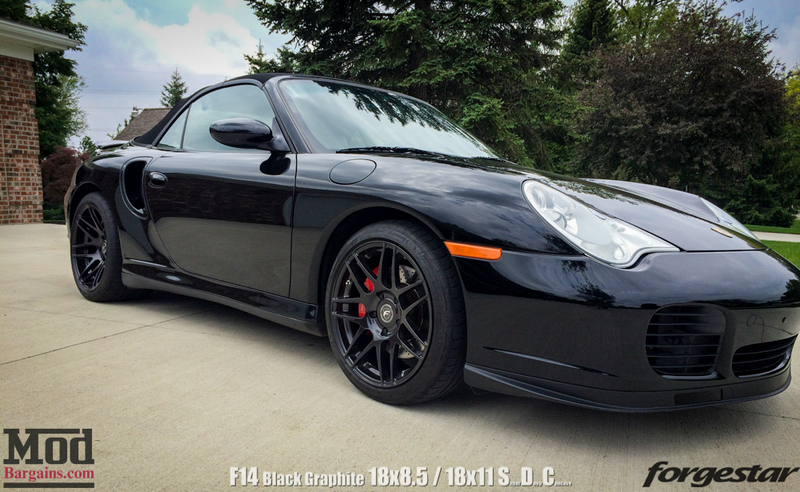 Need something installed on your Porsche at a shop you can trust? Look no further than our state of the art installation shop in SoCal, ModAuto, located in sunny La Habra, CA on Lambert Rd at Harbor Blvd and let us show you our Experience, Expertise and Enthusiasm firsthand – click here to schedule your installation at the ModAuto shop today.